File Manager allows you to create – edit – delete – upload – download files to your account, it allows you management of the files in your site storage space. 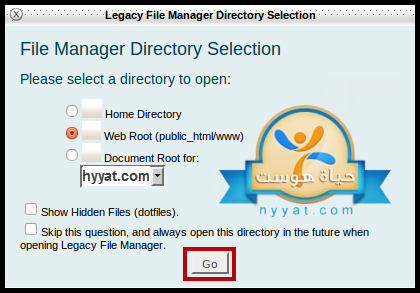 Skip this question, and always open the directory in the future when opening Legacy File Manager (Skip questions step and go directly to your site files). 5/File Manager is now opened and you can start managing your files.